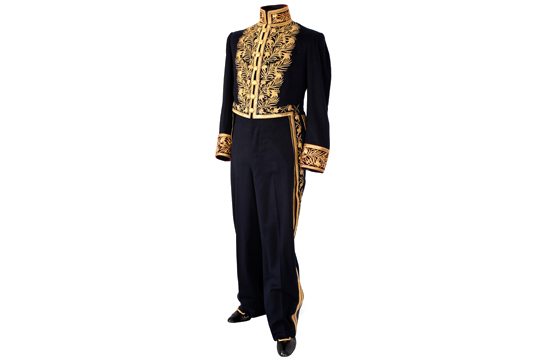 The Collection of Uniforms includes items manufactured in the period from the beginning of the 19th century to the present day. The oldest and most valuable objects were taken from the Museum of the First Serbian Uprising. The collection has been enlarged over the years by numerous donations and purchases. One of the most valuable donations are two uniforms which belonged to Vladimir J. Milanović, Ambassador-Extraordinary of the Kingdom of Yugoslavia to Switzerland and Bulgaria in the 1930s. 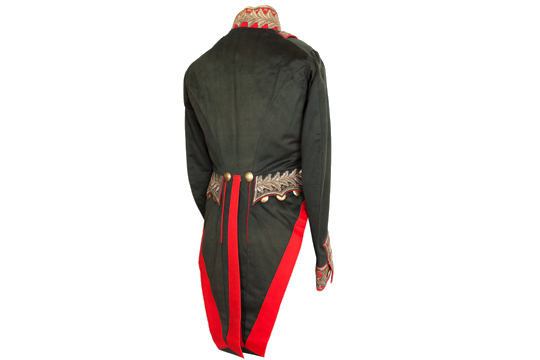 Military uniforms make up the major part of the objects from the 19th century. The numerous changes on the Serbian throne, as well as the shifts in different foreign influences, were reflected in the appearance of the uniforms of the Serbian army in the 19th and 20th centuries. All these changes were regulated by decrees on equipment and military dress, introducing new appearances to uniforms, both everyday and ceremonial. The oldest and certainly the most valuable objects in the Collection are Prince Michael Obrenović’s uniforms – his general’s tunic from 1839, as well as his nine tunics tailored according to the 1861 decree. Slightly different in cut, shape, and in some details, but not less significant, is the dark blue tunic of Prince Milan Obrenović, from 1870. Researching the history of uniforms in Serbia, one can observe a constant permeation of elements of traditional folk costume with foreign influences and models, which is perhaps most evident on the caps. In addition to the various forms of caps, including the calpacks (high-crowned caps) and shajkash caps of Austrian origin (“šajkača”), the 1870 decree introduced a blue French-tailored cap into the Serbian army. Although only worn as a parade cap, it remained in use until 1896, when it was replaced with an astrakhan fur cap. One such cap kept in the Collection of Uniforms belonged to a certain Artillery Lieutenant of the Kingdom of Serbia, and was worn between 1882 and 1896. In addition to military uniforms, the second half of the 19th century saw the introduction of other uniforms, such as those of clergy and diplomats. One of the most valuable items kept in the Collection is the ceremonial coat of Milosav Protić, Foreign Ministry Envoy, from 1879. Members of other state services, such as civil servants, police, tax collectors, customs officers, financial officers, railway men, firefighters, foresters and miners, also obtained uniforms. Their appearances reveal not only foreign influences, but sometimes the complete takeover by foreign models. The appearance of some of these official suits is known only from old photographs or written records. In the 20th century, new professions and services emerged, and new official suits accordingly. Various sports clubs and other associations were formed; hence the uniforms of members of the ‘Soko’ (Falcon) Association and of the Boy Scouts kept in the Museum, as well as of the participants in the post-war youth work actions in Yugoslavia.